We specify the dependency for the spring-webmvc version 4.3.0.RELEASE, jstl v1.2 and javax.servlet-api 3.1.0 to build Web MVC. We also include the commons-fileupload v1.3.1 which is used to upload a MultipartFile and the validation-api v1.1.0.Final to create a Validator. 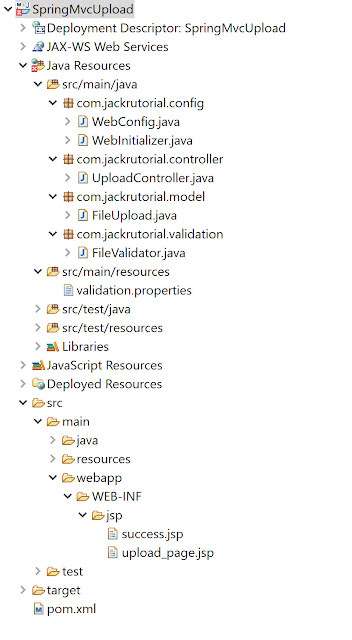 Create a WebInitializer class extends AbstractAnnotationConfigDispatcherServletInitializer under com.jackrutorial.config package and write the following code in it. Create a FileUpload class under com.jackrutorial.model package and write the following code in it. 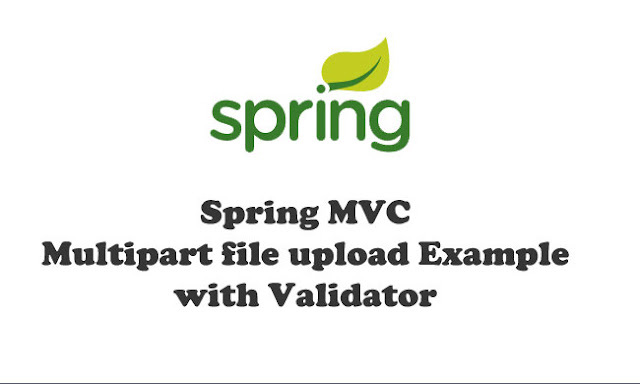 Create a @Component FileValidator implements the org.springframework.validation.Validator, overrides the two methods supports and validate as follow below. 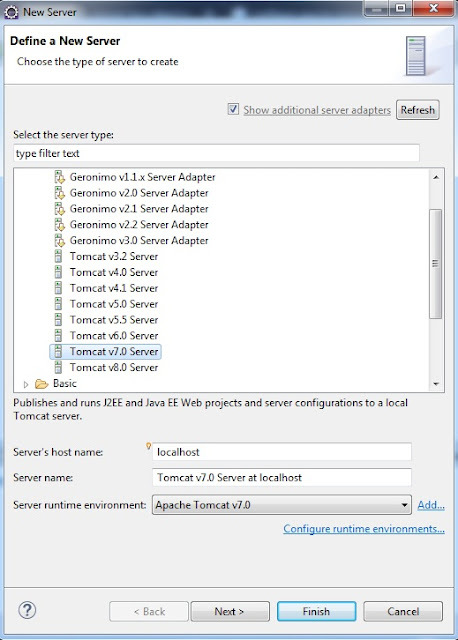 The validator above is used to validate if the uploaded files are not empty. If the files are empty, we reject the value and show the "No file choose" message. Create the validation.properties under the src/main/resources/ folder. 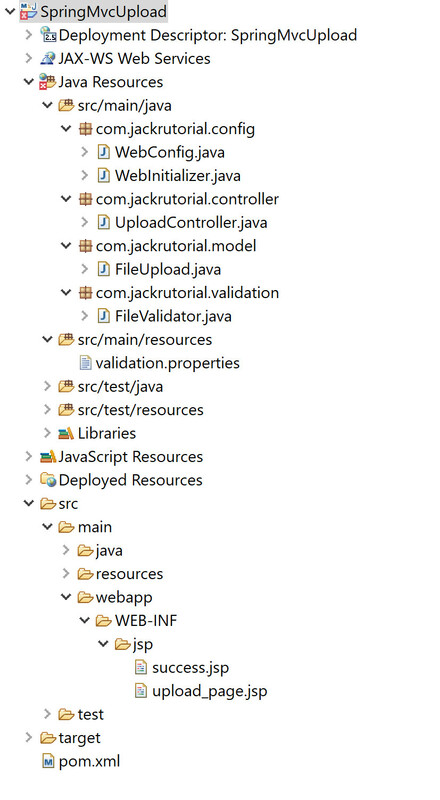 Create a UploadController class under com.jackrutorial.controller package and write the following code in it. Create upload_page.jsp file under src\main\webapp\WEB-INF\jsp\ folder and write the following code in it. Create success.jsp file under src\main\webapp\WEB-INF\jsp\ folder and write the following code in it. Type the following URLs in browser's address bar to open the upload page from.